A problem: He has acknowledged this for at least one month. In the CNBC “Your Money, Your Vote” debate, Romney tried to slip through a John Harwood question about this – perferring his own talking points – but basically endorsed the cut. HARWOOD: You agree with President Obama the payroll tax cut should be expanded? ROMNEY: I want to keep our taxes down. I don’t want to raise any taxes anywhere. When Harwood asked if any candidate opposed the holiday, Romney didn’t pounce. Michele Bachmann did. Romney favors extending the holiday. I think this is the danger for Democrats of the “narrative” war going on – you can mostly get Republicans to agree that a tax cut should continue. And when half of the political media is focused on the GOP primary, you can only get so much attention on your hypocrisy story. No, the things to go after Republicans with are the “poison pills.” The House GOP wants Keystone XL, boiler rule delay, and unimployment insurance reform included in any final deal. The Senate GOP, which actually kind of started this, wanted a federal worker pay freeze. The Senate Democrats wanted a millionaire’s tax. Of the three sets of demands, the Democrats’ are the most politically popular. You can tell, because when you ask Republicans why they shouldn’t just get a “clean” bill passed, they don’t rule it out. 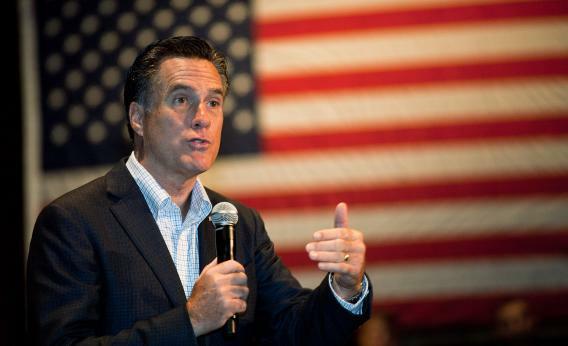 You can’t trap Romney on the basic issue of tax cuts – he’s gonna support them. You can trap Republicans on the extraneous stuff. Otherwise, you’re just playing on their turf, agreeing that tax rates should never go up if the economy is hurting.